This pretty stack of bracelets is really a Three-In-One Wrap Bracelet. 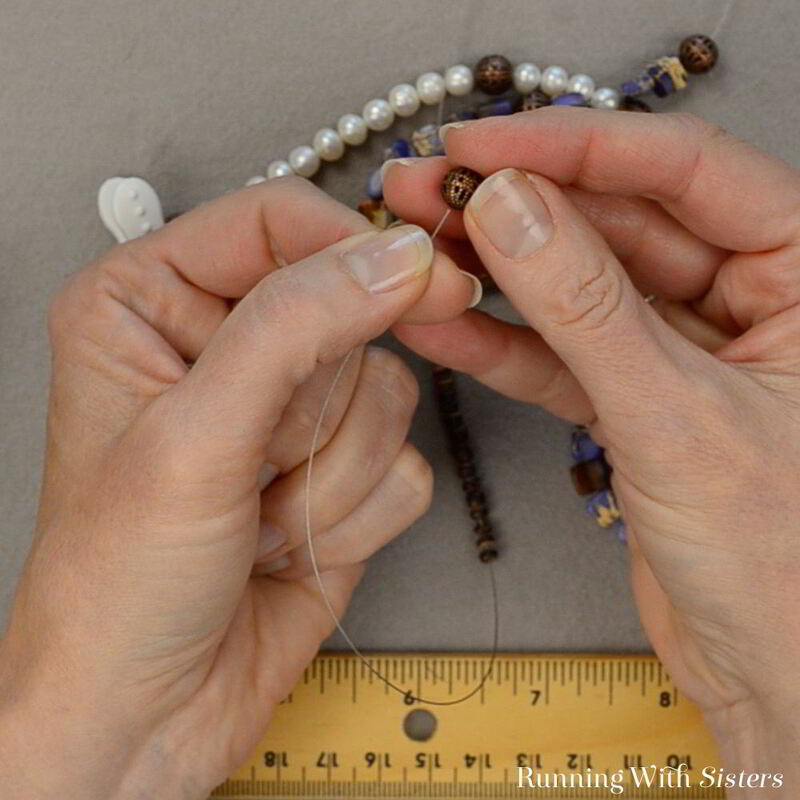 By changing beads every wrap, we make it look like three different pieces, but really it’s one easy bead stringing project. We’ll show you how you can make your own. 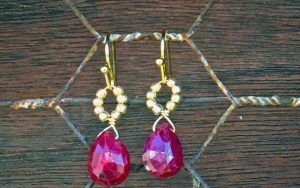 It’s so easy to make and easy to wear! 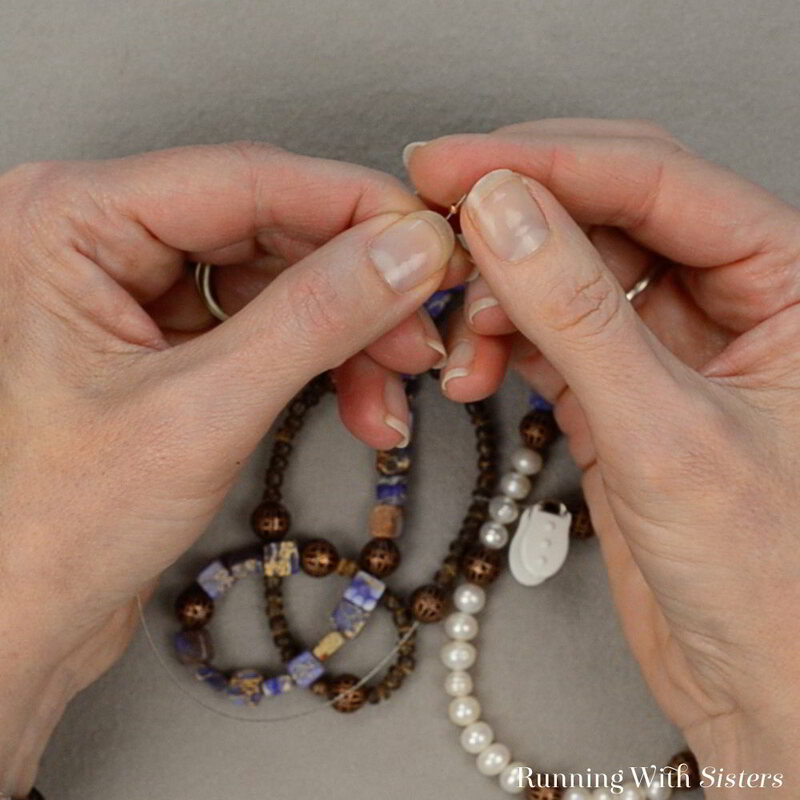 We made a complete video tutorial for this Three-In-One Wrap Bracelet. Follow along as we show you every step. Then use the directions below to make your own! 1. Cut a 30” piece of bead stringing wire. 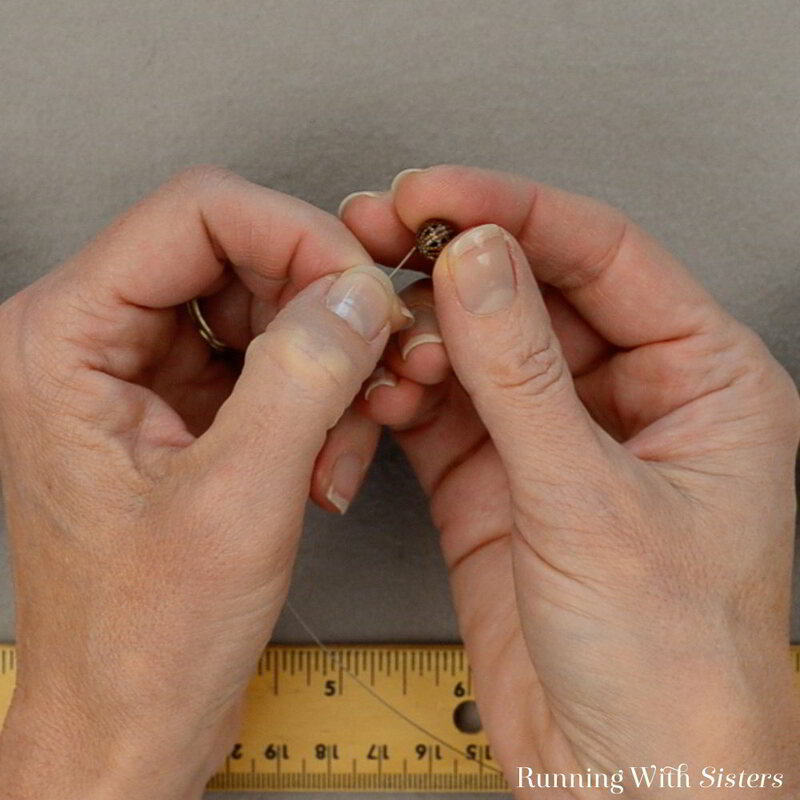 Place a bead bug on one end (or a piece of masking tape). 2. Start with a copper bead. 3. Then feed on the pearls. 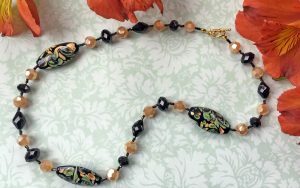 Mix 3 of the antique copper beads in with the pearls. 4. 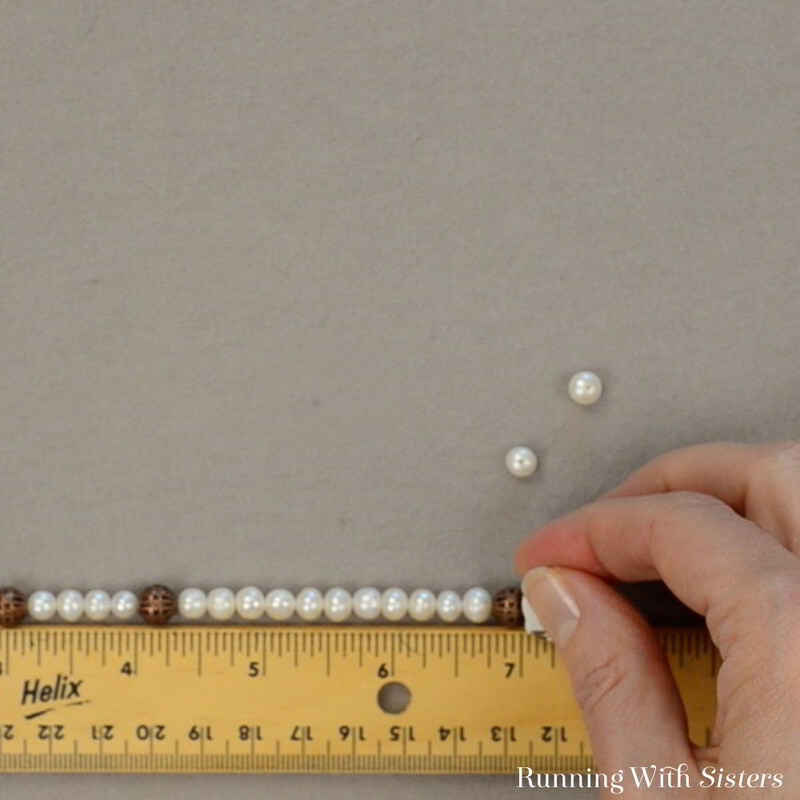 Feed on pearls and a few copper beads until you have 7” beaded. 5. 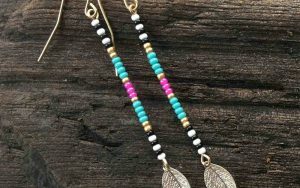 Add a copper bead. Then feed on the jasper beads. 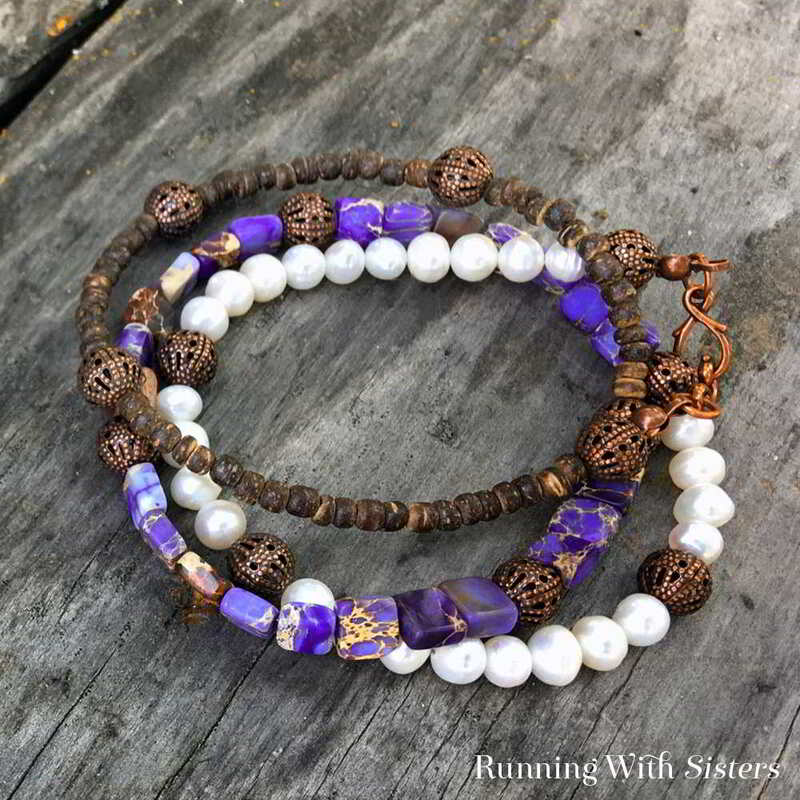 Mix in 3 of the antique copper beads. 6. Bead until you have 7” of the wire covered. 7. 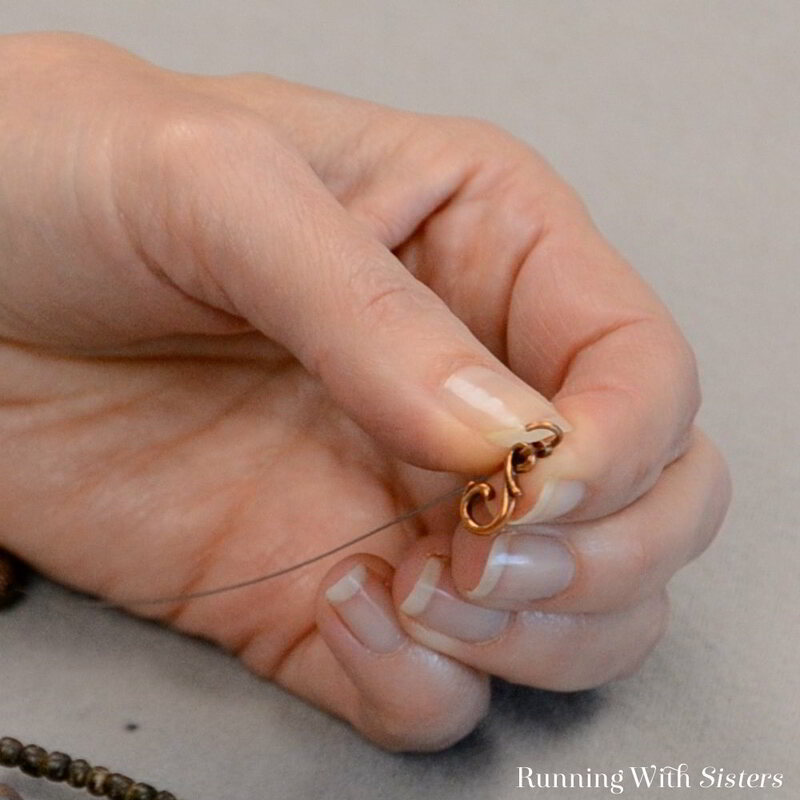 Add a copper bead. 8. Feed on the wood beads. 9. Mix in 3 of the copper beads. When you have 7” beaded, add one more copper bead. 10. Slide a clamshell bead tip on the end of the wire. 11. Then slide on a crimp bead. 13. Close the clamshell over the crimp. Trim with wire cutters. 14. Close the loop on the clamshell bead tip. 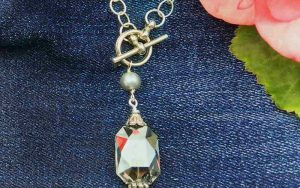 Use a jump ring to attach one side of the clasp to the clamshell bead tip. 15. 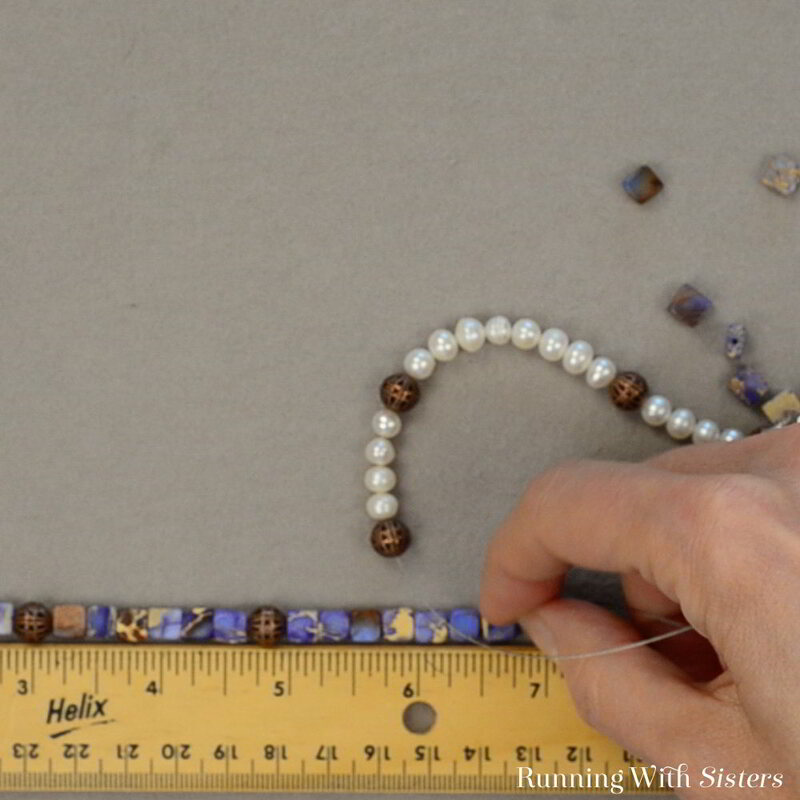 Slide the beads down to the finished end. 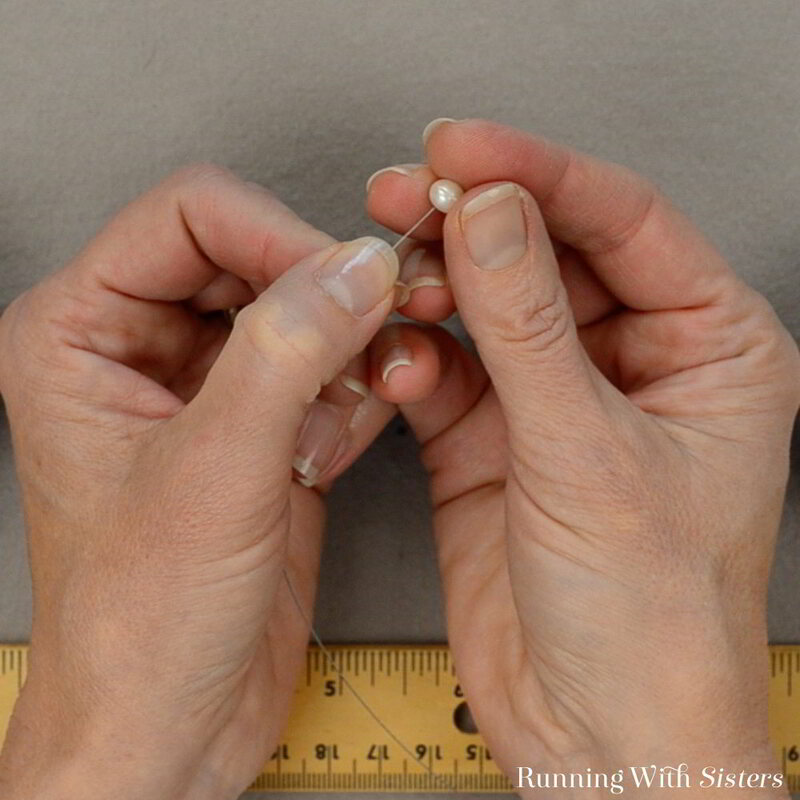 Slide a clamshell bead tip on the end of the wire. Then slide on a crimp bead. Crimp the bead. Close the clamshell over the crimp. Trim with wire cutters. Close the loop on the clamshell bead tip. 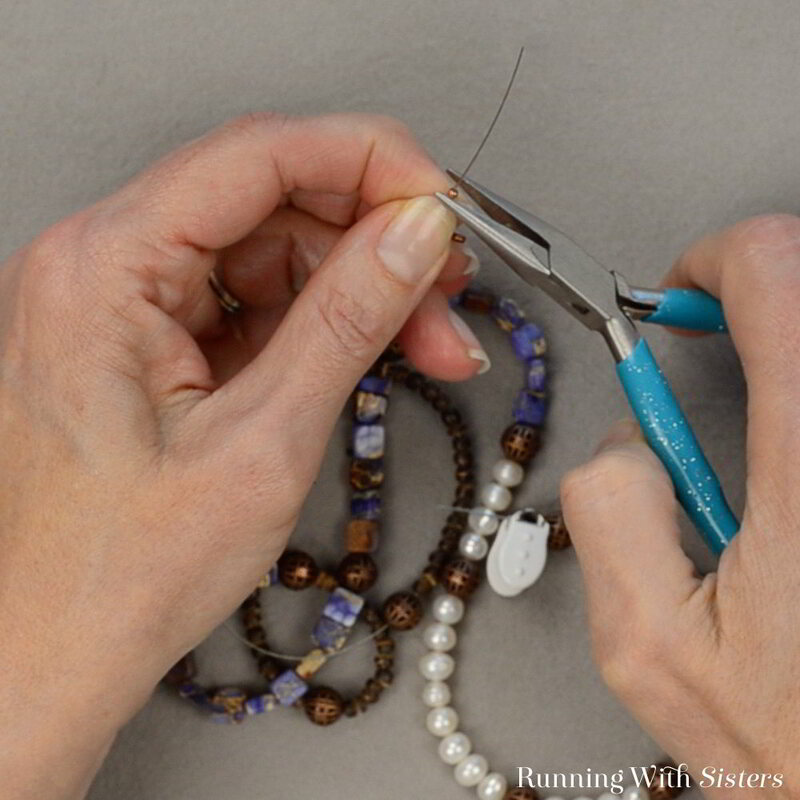 Use a jump ring to attach the other side of the clasp to the clamshell bead tip. 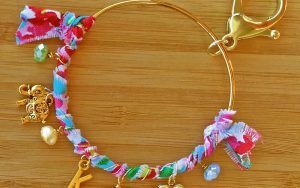 To wear the Three-In-One Wrap Bracelet, wrap it around your arm three times and hook the clasp. It looks like three bracelets, but it only has one clasp to hook to wear it! I love your tutorials! 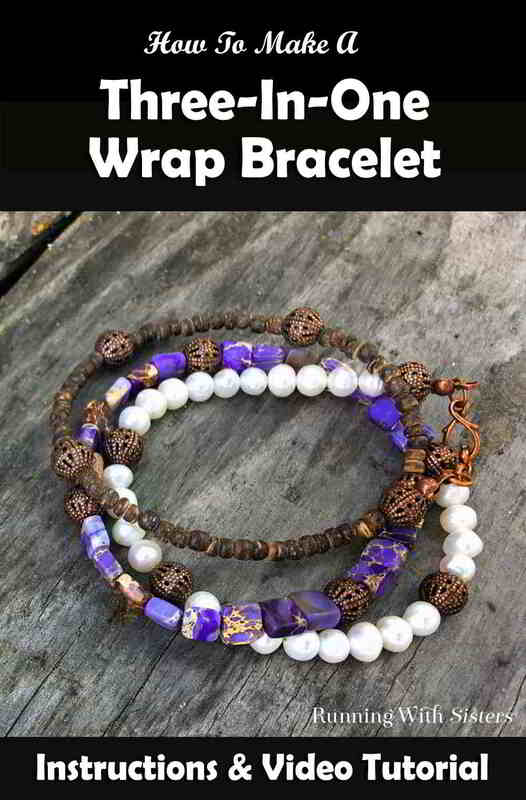 Just a quick question regarding the *3 in one wrap bracelet*. The 19 strand beading wire that you recommended..what diameter is this? I am new to beading and went to order the wire and was asked what diameter I needed. I had no idea..? Can you help?